interest a) the mechanisms responsible for environmental pollutant-mediated oncogenic effects; b) nanotoxicity. Dr. Sijin Liu is currently a professor at the Research Center for Eco-Environmental Sciences, the Chinese Academy of Sciences (CAS). He received Ph.D from the Institute of Developmental Biology and Genetics, CAS, in 2004. Thereafter, he received the postdoc training in hematology and oncology at MIT and Harvard Medical School from 2004 to 2008. Afterwards, he became an instructor at Tufts Medical School from in 2008. Dr. Liu moved to the current position at the end of 2009. 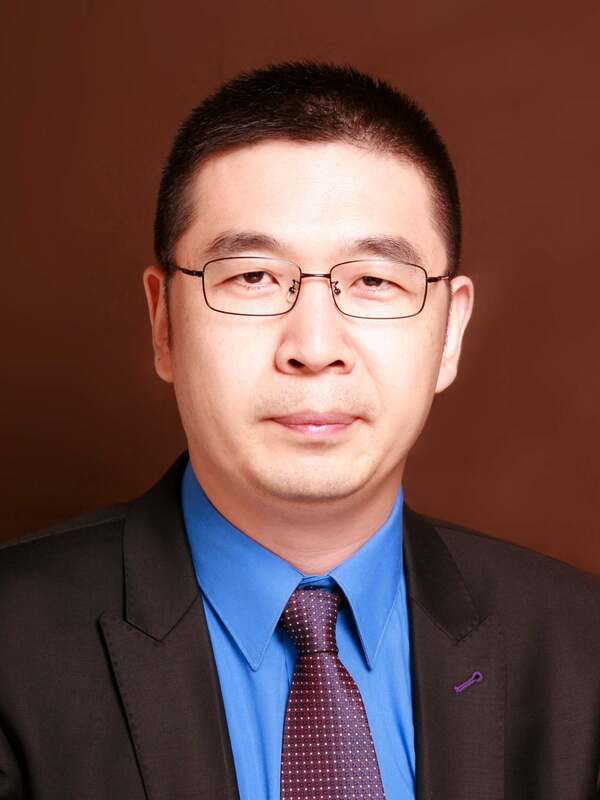 Dr. Liu is a recipient of the NSFC “Outstanding Yong Scientist” award and CAS “One Hundred Talent Program” award, and is also the chief scientist of “National Basic Research Program of China (973 Program)”. Chen, Y., Xu, M., Zhang, J., Ma, J., Gao, M., Zhang, Z. *, Xu, Y., Liu, S.* (2016) Genome-wide DNA methylation variations upon engineered nanomaterials and their implications in nanosafety assessment. Adv Mater. In press. Xu, M., Zhu, J., Wang, F., Xiong, Y., Wu, Y., Wang, Q., Weng, J. *, Zhang, Z. *, Chen, W., Liu, S.* (2016) Improved In Vitro and In Vivo Biocompatibility of Graphene Oxide through Surface Modification: Poly(Acrylic Acid)-Functionalization is Superior to PEGylation. ACS Nano. 10:3267-81. Wang, S., Shang, L., Li, L., Yu, Y., Chi, C., Wang, K., Zhang, J., Shi, R., Shen, H., Waterhouse, GI., Liu, S.*, Tian, J., Zhang, T.*, Liu, H.*. (2016) Metal-Organic-Framework-Derived Mesoporous Carbon Nanospheres Containing Porphyrin-Like Metal Centers for Conformal Phototherapy. Adv Mater. 28:8379-87. Ma, J., Liu, R., Wang, X., Liu, Q., Chen, Y., Valle, RP., Zuo, YY., Xia, T.*, Liu, S.* (2015) Crucial Role of Lateral Size for Graphene Oxide in Activating Macrophages and Stimulating Pro-inflammatory Responses in Cells and Animals. ACS Nano. 9:10498-515. Qian, Y., Zhang, J., Hu, Q., Xu, M., Chen, Y., Hu, G., Zhao, M.*, Liu, S.* (2015) Silver nanoparticle-induced hemoglobin decrease involves alteration of histone 3 methylation status. Biomaterials. 70:12-22. Chen, Y., Zhang, Z., Yang, K., Du, J., Xu, Y. *, Liu, S.* (2015). Myeloid zinc finger 1 (MZF-1) suppresses prostate tumor growth through enforcing ferroportin-conducted iron egress. Oncogene. 34:3839-47. Chen, Y., Wang, Z., Xu, M., Wang, X., Liu, R., Liu, Q., Zhang, Z., Xia, T., Zhao, J., Jiang, G., Xu, Y., Liu, S.* (2014). Nanosilver incurs an adaptive shunt of energy metabolism mode to glycolysis in tumor and nontumor cells. ACS Nano. 8:5813-25. Zhang, C., Zhang, S., Zhang, Z., He, J., Xu, Y. *, Liu, S.* (2014) ROCK has a crucial role in regulating prostate tumor growth through interaction with c-Myc. Oncogene. 33:5582-91. Qu, G., Liu, S.*, Zhang, S., Wang, L., Wang,X., Sun, B., Yin, N., Gao, X., Xia,T., Chen, J.J., Jiang,G. (2013). Graphene Oxide Induces Toll-like Receptor 4 (TLR4)-Dependent Necrosis in Macrophages. ACS Nano. 7:5732-45. Wang, Z., Liu, S.*, Ma, J., Qu, G., Wang, X., Yu, S., He, J., Liu, J., Xia, T., Jiang, G. (2013). Silver Nanoparticles Induced RNA Polymerase-Silver Binding and RNA Transcription Inhibition in Erythroid Progenitor Cells. ACS Nano. 7: 4171-86. Qu, G., Zhang, C., Yuan, L., He, J., Wang, Z., Wang, L., Liu, S.*, and Jiang, G. (2012). Quantum Dots Impair Macrophagic Morphology and the Ability of Phagocytosis by Inhibiting the Rho-Associated Kinase Signaling. Nanoscale. 4: 2239-44. Suragani, R.N., Zachariah, R.S., Velazquez, J.G., Liu, S., Sun, C.W., Townes, T.M., and Chen, J.J. (2012) Heme-regulated eIF2alpha kinase activated Atf4 signaling pathway in oxidative stress and erythropoiesis. Blood. 119:5276-84. Liu, S., Goldstein, R.H., Scepansky, E.M., and Rosenblatt, M. (2009). Inhibition of Rho-Associated Kinase Signaling Prevents Breast Cancer Metastasis to Human Bone. Cancer Res. 69: 8742-51. Liu, S., Suragani, R., Wang, F., Han, A., Zhao, W., Andrews, N.C., and Chen, J.J. (2007). The Function of Heme-Regulated eIF2-alpha Kinase in Murine Iron Homeostasis and Macrophage Maturation. J Clin Invest. 117: 3296-305. 1. Strategic Priority Research Program of the Chinese Academy of Sciences: Environmental exposure and health hazard mechanism of typical pollutants, 2014-2018. Type B. 2. National “973” program: Study of environmental processes in water, consequential biological effects and correlative physicochemical regulations of the representative engineered nanomaterials, 2014-2018. Chair. 3. NSFC “Outstanding Yong Scientist” award grant: Environmental toxicity and pollutant-induced health effects. 2015-2019. Chair. 4. NSFC Major grant: The embryonic toxicity of metal nanomaterials with high-risk of environmental exposure. 2016-2020. Chair. 1. 2015, the China Youth Science and Technology Award. 2. 2015, the Chinese Academy of Sciences Yong Scientist Award. 3. 2014, the “Excellent” Award for CAS Hundreds Talents Program.